Did you know girls tend to report a decrease in loneliness between first and fifth grade? It’s true. They report less loneliness as they develop more peer relationships and become more comfortable with their social skills during the elementary school years. There is an important caveat to this trend toward less loneliness though; a subtle factor every father needs to know. Girls don’t all move toward less loneliness at the same rate or to the same degree. Guess what makes the difference in their move away from loneliness? Fathers! That’s right. Daughters who report close relationships with their fathers also report a greater decrease in loneliness over a shorter time period. In other words, a close father-daughter relationship helps your daughter overcome loneliness. Mother-daughter relationships didn’t impact loneliness…only father-daughter relationships! This was revealed in a study of 695 families in which mothers and fathers rated their relationship to their children in grades 1,3, 4, and 5. Children rated their levels of loneliness in grades 1, 3, and 5. The results affirmed the importance of father-daughter relationships in decreasing a daughter’s sense of loneliness. The message: Fathers, you are important to your daughter’s development. And, if you’re like me, you hate to see your daughters looking lonely or complaining of loneliness. Now you know YOU can make a difference. Spend time with your daughters. Pay attention to your daughters’ crazy emotions. Talk with your daughters. By doing so you will help your daughter feel less lonely! Now that is an important role and a joyous task! I hadn’t noticed until someone mentioned it. We were at a playground and there were no teeter-totters. My kids would not learn the thrill of teetering at the high end of the teeter-totter before plummeting back to the ground at a speed slightly quicker than imagined. There were also no merry-go-rounds, the ones you can get spinning so fast that the centrifugal force threatens to pull you right off the ride. I used to love the feeling of having to hold on for dear life and surviving before bursting into hysterical laughter! No, none of that in this playground. Instead, we stood on a large, soft rubber mat surrounded by mulch. The rides included enclosed stairs and “castle peaks, short slides, and balancing beams two inches off the ground. Don’t get me wrong. This was an amazing playground and my children loved it. Their favorite ride, though, was the spinning tire swing. My children loved to get on that swing beg me to spin them so fast their hair would fly straight back. Some parents wouldn’t allowed their children to ride at the fast spin, directed them to the slides and the castles. But my girls loved the thrill of holding on as the force of spinning pulled them outward. I just liked watching their hair fly back as they spun. This memory came to mind as I read a review of the literature on play and anxiety published in Evolutionary Psychology. This review suggested that “risky play,” like the playground rides described above, help to prevent long-term anxiety. The article notes that we have become a society in which anxiety is epidemic and the overprotection of children may contribute to that increase in anxiety. 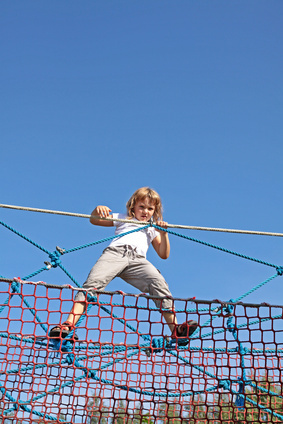 Risky play, play in which we go right to the edge of safety, may help prevent anxiety. It helps us become more aware of our environment and our personal limitations. The more we know about our surroundings and the more comfortable we become with exploring new things, the less anxiety will hold us back. The more we know about our personal limitations, the more we practice healthy caution rather than anxious avoidance. But risky play does more than increase our awareness. It also represents a form of “exposure therapy,” an opportunity to face our anxiety in a healthy, appropriate manner and overcome the fears that threaten to imprison us. For instance, climbing trees teaches us to interpret the feelings associated with greater heights as information rather than simple anxiety that holds us back and “keeps us on the ground.” We can make wise decisions based on our experienced-based knowledge of the environment (strong vs. weak branches) and our own ability. This comfort with heights translates from trees to bridges to rooftops to airplanes. We learn to think wisely about our actions and related fears rather than succumbing to irrational anxieties. So, what kind of risky play can help your children avoid anxiety? Here are six categories identified in the literature review. Exploring heights by doing things like climbing trees, jumping, balancing or swinging. Exploring speed as we speed along on our bikes, skates, sliding, etc. Learning about dangerous tools by using knives, ropes, or tractors for various activities. Rough-and-tumble play, like wrestling, play fighting, or sword fighting with sticks, helps us learn to negotiate physical interactions with others. Exploring “dangerous elements” like deep water, icy water, fire, or rock climbing. “Getting lost” and exploring our communities and world. Of course, we don’t want our children to go crazy. We still need to teach our children the difference between risky behavior and hazardous behavior. However, when the opportunity arises, let your children engage in some risky play. Let them poke the fire. Let them climb the tree. Encourage them to do some rock climbing, wood chopping, vegetable cutting, and swimming in the deep end. Let them explore. You may be preventing the rise of anxiety and opening the door for them to live a more joyous life. Most of us know the Christmas story. 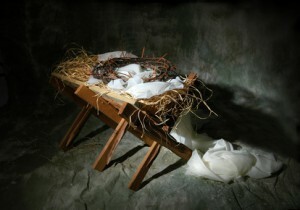 Baby Jesus was born of the virgin Mary and placed in a manger because there was no room in the inn. That’s the story; but, hidden in plain sight for all who look more closely, is a deeper message for Christmas…a message not just about “baby Jesus” but about Immanuel. Immanuel is my favorite Christmas word. It means “God with us.” I love the truth of Immanuel. Jesus “emptied Himself,” became a man, and dwelt among us. He literally became “God with us” to bring peace between God and man as well as peace among men who truly hear His message. The message of Immanuel has gotten lost today. We live in a divided world. Divisions grow stronger as interest groups rally for their personal wants and needs, erecting walls between “us” and any who might disagree with “us.” Conflict increases as we sequester with like-minded people behind walls of demands for “my” space, “my” needs, and “my” desires. At the same time, we hide in fear from the travesty of disagreements that might call “my” belief into question. Fear, conflict, and division give rise to battles about “mine” and “theirs” and between “me” and “them.” In the midst of the growing division, isolation, and conflict God speaks the message of Immanuel, “God with us.” “God with us” breaks down the barriers and puts an end to isolation. He walks with us, talks with us, eats with us, laughs with us, cries with us…He is “God with us.” He breaks through the fears and speaks the message of peace through Immanuel, “God with us.” “God with us” bring “peace among men with whom He is pleased.” Yes, our barrier-filled world needs to hear the message of Immanuel. The message of Immanuel, “God with us,” was first spoken through a Baby. Who doesn’t love a baby? Who doesn’t feel a sense of joy and peace in the presence of a baby? Who doesn’t want to come alongside a baby and connect with a baby? Yes, Immanuel spoke His first message of “God with us” as a Baby, a Baby born into an occupied country to poor parents. “God with us,” a baby born to a woman who experienced the pain of being cast out because she appeared to have engaged in activities outside the accepted behaviors of her culture. “God with us,” a Baby worshipped by poor people like shepherds and wealthy people like the “magi from the east.” “God with us,” a Baby who had to flee with His family to escape political persecution and death. “God with us.” Yes, Christmas celebrates “God with us,” all of us. Like us, “God with us” experienced the joys of family and friends. He experienced the pain of persecution and disenfranchisement. He knew the struggles of poverty and the riches of faith. He touched the lives of people in every circle. He is Immanuel, “God with us,” walking with all people…in every walk of life. As our families learn the message of Immanuel, as we come to understand the message of “God with us,” perhaps we will learn to walk with those Immanuel chose to walk with–the outcasts and the accepted ones, the poor and the rich, the joyous and the sorrowful, those in our homes and those outside our homes–for we are representatives of Immanuel. Will you join me in living the message of Immanuel this year? Tickets to a concert, musical, or dance. A membership to the museum or the zoo. A date night jar filled within expensive dates and an opportunity to add to the jar. A carrot, some coal, and a hat so you can run outside this afternoon and make a snow man together. A picnic box with plans for family picnics. Walking maps for family walks. You get the idea. Give a gift that will allow you to have an enjoyable experience with your family. You’ll love. They’ll love it. Your relationship will love it! I love children’s research…and how it applies to our families. For instance, a recent set of four studies out of Emory University involved 144 children 14- to 24-months-old and a remote-controlled robot. In the first experiment, an adult showed the toddler how to use the remote to operate the robot. Then the adult either watched the toddler or turned away to read a magazine. The toddler showed more inhibition playing with the remote when the adult watched them. No real surprise, I guess. Let’s move on to the second experiment. In the second experiment, one adult had two remotes. When using the first remote, the adult smiled and said,”Wow! Isn’t that great?” But, when using the second remote, the adult said, “Uh-oh! Oops, oh no!” The adult then left the remotes and stepped away. He either watched the toddler or turned away to read the magazine. The toddler pressed the buttons on the remote that seemed to elicit apositive response from the adult when the adult watched him. However, when the adult looked at the magazine, the toddler pushed more buttons on the remote that was associated with the negative response! Hmmmm. Starting to get a little more interesting. The third experiment was similar to the second. However, the adult simply gave the neutral response of “Oh, wow” to both remotes. Now the toddler did not choose one remote over the other depending on whether the adult watched. This “control experiment” reveals that the adult’s initial response has an impact on the toddler’s later response to the remotes. Finally, the fourth experiment used two adults sitting next to one another sharing one remote. One adult smiled and gave the positive response “Yay! The toy moved” when pressing the buttons of the remote. The second adult frowned and said, “Yuck! The toy moved” when pressing the same remote. Now, both adults stepped away to watch the toddler or read a magazine. The toddler played with the remote significantly more often when the adult who gave the positive response was watching. Think about what the toddlers did in these experiments. The toddlers modified their behavior to please the one watching them…but only when the one watching had given a positive response to the toy. The toddlers explored the remote that elicited a negative response when the adult was not looking but used the remote that elicited a positive response when the adult was looking. 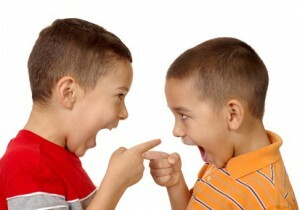 The toddlers didn’t change their behavior for the adult who simply gave a neutral or negative response to the remote. Did you catch the underlying message? Toddlers care about their image, how others perceive them. They modified their behavior in response to the adult watching them and that adult’s enacted values. They wanted that adult to think the best of them. They were concerned with impression management. Let’s apply that impression management to your parenting. Children want to please their parents, the adult who interacts with them the most. So, if you want to influence your children, engage them. Interact with them. Let them witness what you like, the values that energize you and the people that bring you joy. They will seek similar behaviors. 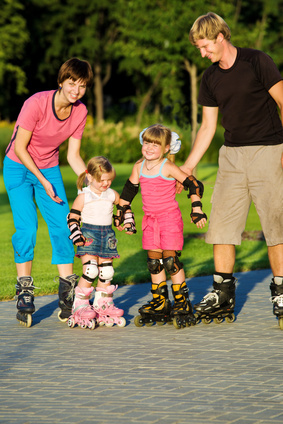 Children engage in those activities that please their parents, especially when their parents are watching them. Keep an eye on your children. Give them freedom, but build your presence into their lives so they “take you with them” wherever they go. Our toddlers are invested in impression management. They want you to think highly of them. Use that to help instill positive values and behaviors in your children. Are you looking for the perfect gift for your spouse? I have an idea, a gift your spouse will love. The great thing about this gift? You can give it to your spouse over and over all year round without breaking the bank AND without your spouse getting tired of getting the “same old thing” again. They’ll love it every time. You can even “wrap it” up in four different parts so it will look like you gave more! Even more impressive, research has shown this gift will improve your marriage. A study involving 114 newlywed couples revealed that this gift led to the experience of more positive emotions in the marriage and a higher level of relationship satisfaction. Really, it sounds too good to be true, but I’ve seen it in action. It’s true! So, forget the wrapping paper. Don’t worry about the packaging. Just give your spouse this gift in four parts. What is this miracle gift you can give your spouse? Emotional support! And the four parts of emotional support you can give your spouse to make it look like even more? Listen and show empathy. Express trust in your spouse. Let your actions reveal your willingness to care for your spouse. Communicate acceptance of your spouse even when they’re at their worst (part 4). Yes, your spouse will love the gift of emotional support…and your marriage will, too. I once heard a story about a king who was about to make a terrible decision that would devastate his kingdom. His advisers tried to talk him out of the impending mistake. They pleaded with him to change his mind. They spoke softly and yelled loudly while repeating the same words over and over again. But, no matter how many times they explained the dire consequences of his decision, the king refused to listen. Then a jester came to visit the king. The jester made jokes. He sang a song. He made himself look rather foolish. The jester—in all his songs, jokes, stories, and antics—gave the king the same message as the advisers. But the king listened to the jester with enthusiasm. He laughed and cried. Then, when the jester left, the king thought to himself, “You know, that jester made a lot of sense.” And with that, the king changed his mind. He would not make the mistake everyone had warned him about. Why was the jester effective when the wise advisers were not? Because the jester had a bigger toolbox of interventions; he had more options. The advisers could only repeat their admonitions in louder and more urgent terms. The king would hear none of it. The jester, on the other hand, had a larger toolbox. He could sing, tell stories, offer a joke, make the king laugh. He had options…and the king listened. Give the toys not put away a “time out.” Put them away where your children can not play with them for a period of time. Offer a reward for cleaning up. The reward can be as simple as reading a book together, going to get ice cream, or a chance to watch a TV show. Tell them they cannot engage in something they want to do (like go out with friends) until they have cleaned up their room. You might also offer specific directionfor cleaning the room, telling them exactly what needs picked up and dusted. Children need us to teach them the specifics of our expectation before they can complete the chore alone. Find a way to make the chore fun (Read Family Fun Theory for more). Giving or withholding an allowance. Make chores a family activity. Children often cooperate better when everyone is involved. Reward your children with a currency they care about, such as screen time or time with a parent. Make chores your children need to complete and chores you need to complete into a competition. For instance,create a Tic Tac Toe board. They can be “X’s” & you can be “0’s.” Whenever a person completes one of their chores, they can place their “X” or “0” on the board. Whoever completes their chores quickly enough can win the game. The main idea is to fill your parenting toolbox with options based on your children’s temperament and developmental age. Like the jester, when you have more options you become more effective. Our families, our marriage, and our children are flooded with information today. TV’s, computers, smart phones, Ipads, social media, 24-hour news…they all throw information our direction faster than…you fill in the blank. With so much information spoken “at us,” it’s hard to get a word in edgewise. In fact, we jump into conversation with our spouse and family midsentence with a “yeah, but….” Or, we talk over one another, each one talking louder than the last in an attempt to be heard. Once we have the floor, we don’t stop speaking…no breath, no pause, just tell all as quickly as possible and keep it going in an unending filibuster. Throughout the process, each person becomes defensive. The initial topic often gets lost in our ever more emphatic arguments. Each person grows more possessive of “my time” to speak. And…we lose the sacred moment every conversation needs to bring connection between those involved. The sacred moment in every conversation is the pause, that moment of silence between two speakers. The sacred moment means one person has finished speaking for the moment and the other person has received the opportunity to speak. There is no “yeah, but,” no interruption, no filibuster in the sacred moment…just a sacred moment of silence between speakers. Still, the sacred moment provides so much more than mere silence between speakers. The sacred moment confers appreciation to the listener for patiently waiting their turn to speak. The sacred moment means the speaker respects the listener enough to pass them the baton of speech, the opportunity to talk. The sacred moment also respects the speaker by providing an occasion for the listener to think about what was said, to really consider the speaker’s point of view. The sacred moment allows both parties to confirm mutual understanding about what was already spoken. The sacred moment grants the time needed to consider areas of agreement before jumping into a defensive posture. The sacred moment allows all parties to remain calm, to breathe life into themselves and the conversation, to maintain composure and an attitude of affection. Appreciation, respect, mutual understanding, agreement, composure, and affection all in a single sacred moment. Amazingly, that moment remains very short, a simple pause between two people engaged in mutual understanding as the baton of speech is handed from one person to another. But that sacred moment can save a conversation and a relationship! Don’t you think it’s time we start practicing the sacred moment, the most important moment in any conversation, today? A rather disturbing study came out of the University of Southern California recently. The study followed 2,572 11th grade students from 10 public high schools in L.A. County for a year (2016-2017). These students were male and female: 47% Latino, 19% Asian, 4% African American, and 17% Caucasian. The study followed these students to explore the impact that public displays of discrimination (those seen in their neighborhoods as well as those seen on TV) had on teens. At the start of the study, 26.7% of the teens were “very or extremely worried about societal discrimination.” At the end of the year, 34.7% of the students were “very or extremely worried about societal discrimination.” That’s disturbing…but it gets worse. The researchers also found “significant associations between increased level of concern about discrimination and six different adverse behavioral outcomes.” More specifically, “increasing societal discrimination was associated with higher frequency of substance use, greater number of different substances used, and 11% higher odds of depression and 12% greater odds of ADHD symptoms.” I find this even more disturbing when I watch the news and see the number of acts of discrimination reported. Somehow, we need to create a change for the sake of our most vulnerable children. That change can begin right in your family with these four tips. Build strong, intimate family relationships. Those strong family relationships become the model of relationship outside the home. In fact, studies have shown that a strong attachment leads to people acting less on their prejudices and showing greater kindness even to their enemies (You can read about it in one of my favorite studies pitting Hot Sauce Vs. the Power of Relationship). Don’t be afraid to talk about the acts of discrimination you or your children witness. As Mr. Rogers said, “Anything that’s human is mentionable, and anything that is mentionable can be more manageable. When we talk about our feelings, they become less overwhelming, less upsetting and less scary. The people we trust with that important talk can help us know that we’re not alone.” Don’t limit the talk to those who show discrimination. Teach your whole family to look for those who battle the discrimination. If I may quote Mr. Rogers again, “Look for the helpers. You will always find people who are helping.” Those are the people we want our children to emulate. Those are the heroes. Those are the ones who help us live courageously with the knowledge that, even in discrimination rears its ugly head, there are many who do not discriminate. There are many who share love, kindness, and hope. Find like-minded people, people who do not discriminate. Associate with people who love and share kindness with all people. In so doing, your children meet people from all walks of life and find human kindness resides in every corner of the world regardless of wealth, ethnicity, or gender. Like I said, the study from USC disturbed me but then I started thinking of the study I’d like to see completed. In this study families would be strengthened. They would be coached to talk about their feelings and identify the helpers. They would be given opportunities to build bridges across our superficial differences and engage in family acts of kindness. Then, after a year, the study would measure their level of discrimination and their fear of discrimination. Would their fear go down? Would acting out behaviors go down? I dare say they would. Hey, why not run the experiment in your own home? You might be pleasantly surprised. “It’s a slippery slope…” or so I’ve heard it said. But, now it’s more than just something I’ve heard. Research supports “It’s a slippery slope”…at least for the little white lie. Let me explain. A team of researchers completed four studies to explore how wearing “counterfeit sunglasses” impacted a person’s level of honesty and their tendency to judge other people as dishonest (Read the study in The Counterfeit Self: The Deceptive Costs of Faking It). In each study, the participants, believing they were participating in a study to evaluate types of sunglasses and were assigned to different groups of “sunglass wearing.” One group wore designer sunglasses. The other group wore knockoffs, counterfeits…you know, the ones that aren’t real but make people think you have the real thing. In essence, they wore a little white lie, a “knockoff” of the truth. In the first study, participants who wore the knockoffs were led to believe they preferred to wear counterfeit sunglasses for practical reasons. In the second study, they wore the knockoffs because the researchers assigned them to the group either wearing the “real thing” or the “knockoffs.” They had no choice. In both studies, the participants were given tasks in which they could cheat (or not) and opportunities to self-report on their performance. Those who believed they wore the knockoffs were significantly more likely to cheat and to inflate their performance when self-reporting than those who wore the designer shades. In the third study, the researchers added a questionnaire related to judging other peoples’ tendency to engage in unethical behavior such as lying or behaving dishonestly. You guessed it. 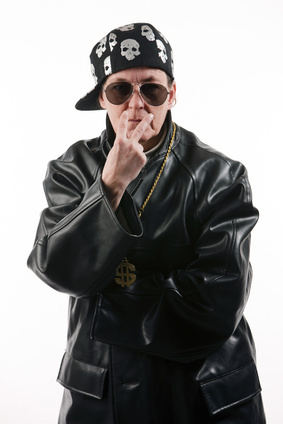 Those wearing the “knockoff” sunglasses were significantly more likely to assume others would engage in unethical behavior, lie, or behave dishonestly than those wearing the true blue designer shades. Finally, in the fourth study, the researchers “teased out” what might mediate this “counterfeit sunglass” response. 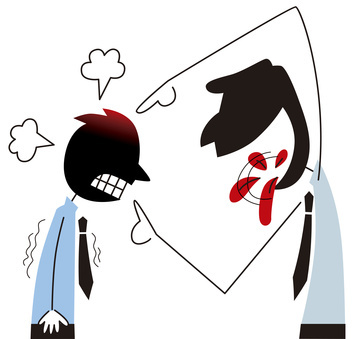 They discovered that feeling inauthentic led to the dishonest behavior and the tendency to judge others as dishonest. In other words, the “little white lie” of pretending to have authentic brand name designer shades when they did not, contributed to dishonesty and believing others to be more dishonest and unethical. What does this have to do with marriage and family? Good question. Sometimes couples tell a “little white lie” to avoid a conflict or confrontation. 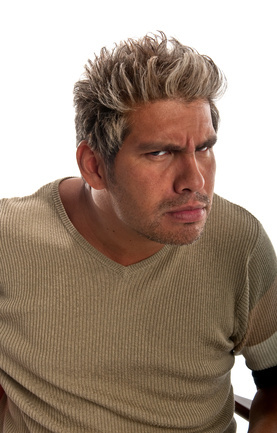 One person stops to get a beer on the way home rather than drink it in front of their spouse because “they don’t want to hear it.” Or, they tell their spouse everything is fine rather than discuss some irritating behavior because “they don’t want the stress.” One spouse withholds information about finances to limit their partner’s anxiety…or a spouse makes a purchase in secret because they fear the purchase will upset their spouse. All little things, but they’re actually “knockoffs” of the truth. Real truth, designer truth, does not withhold information to avoid a confrontation or hide behavior to avoid the conflict. Real truth addresses the concern rather than trying to avoid the stress with a “knockoff truth.” But, this is where it gets worse, a little white lie, a “knockoff” of the truth, opens the door for more lies. Sure, we all know the person telling the lie may have to expand the lie to cover the first. According to the research, though, telling that “knockoff truth” increases the chance of further dishonesty, more significant dishonesty, bigger lies and bigger coverups. And, it increases the chance that the person telling the “knockoff truth” will become suspicious and judgmental of their partner’s motives and honesty. In other words, they may judge their spouse’s sincere motives and behaviors as dishonest and unethical. The stage is set. The slippery slope is covered with ice. The downward slide of dishonesty, mistrust, coverups, and paranoia begins. It’s better just to avoid the whole thing. Avoid the “knockoff truth,” the little white lie. Stick with telling the real truth, the whole truth, the designer truth. Don’t settle for less. Be honest.